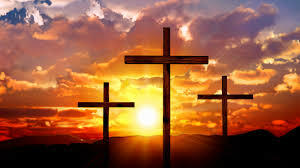 The 247th Easter Sunrise Service will be held on Sunday, April 21, 2019, beginning at 6:00 AM. Worshipers will gather in front of Home Moravian Church, 529 S. Church Street (at the corner of Academy Street and S. Church Street) in Winston-Salem to begin the service. In reverent procession, worship continues as participants assemble in God’s Acre for the conclusion of the service. Old Salem parking lot, 720 Salt St.
Once you park and walk into Old Salem, you will notice ushers at various locations. These people are available to direct you to your destination as well as answer general questions that you might have. It will be somewhat dark when you arrive and there is a fair amount of walking involved, so plan to dress appropriately for the weather and wear comfortable walking shoes. The dress for this service is casual and strollers and wheelchairs are welcome. If you are with someone in a wheelchair, you may drive into Old Salem near the square to drop them off and then leave to park your vehicle. Restroom facilities are available at various locations (click on link below) and any usher will be glad to help direct you. Our graveyard regulations do not allow pets in the graveyard or on Cedar Avenue, so please refrain from bringing pets to the service. There will be a hospitality station in front of the Belo Home at 455 S. Main Street, near the Square. At this station, coffee and Moravian Sugar Cake will be served to the public at no charge. As a precaution, paramedics and ambulances are on stand-by in case of an illness or accident. The EMS supervisor will be initially located at the Square, but will trail the procession to God’s Acre. Since 1930 the Easter Sunrise Service of The Moravian Church has been broadcast yearly by WSJS, Winston-Salem, North Carolina, and is now available over the internet at WSJS.com. The Moravian Church expresses appreciation to WSJS for making possible an extensive witness to the Resurrection of Jesus Christ. The Easter Sunrise Service will be streamed live. You can find a link to this on our Easter Sunrise Service website at: MoravianSunrise.org or you can go directly to the Home Moravian Church website at: HomeMoravian.org. Comments from persons attending the service or listening to it by radio will be appreciated. Send to The Moravian Church, 459 South Church Street, Winston-Salem, North Carolina 27101.